Crystal Symphony is a wonderful choice for cruise travelers who are looking for a luxurious cruise vacation on a larger ship with plenty of options for dining and entertainment. The ship (and its sister, Crystal Serenity) has a following of passionate and loyal fans, who consider longtime staff to be family and love to come onboard to be pampered. Yet the line does not ignore newer and younger cruisers. A 2017 refurbishment added modern touches to the ship -- open-seating dining in the main restaurant, new casual eateries, enhanced Wi-Fi, more up-to-date suites -- and a commitment to sprinkling shorter itineraries among the world cruises and longer voyages. Staffing kids clubs in the summer months makes sure working professionals and families are accommodated. 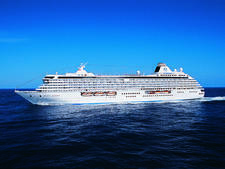 Crystal Symphony is an older ship, but it rivals the newer ships of competing lines for choice in dining. There are five main venues for dinner, plus room service. Three have more of the formal restaurant vibe: the main dining room Waterside, Italian Prego and Asian Umi Uma, created by celebrity chef Nobu Matsuhisa. Two new casual venues were added in the 2017 refurbishment -- Brazilian steakhouse Churrascaria and family-style Chinese restaurant Silk. Food was generally good in all venues, though Waterside was the most hit or miss, likely because it offers a wide array of entrees that change nightly. The line wisely made sure not to lose standout dishes in all the restaurant upheaval. Nobu's miso black cod and Prego's mushroom soup in a bread bowl continue to wow diners as they have for years. The quality and variety of entertainment options is also notable. Crystal excels in daytime enrichment with multiple lectures on any one sea day, computer and movie-making classes, and expert instructors in art, bridge and golf onboard most sailings. Magician's from Los Angeles' famed Magic Castle make appearances (and disappearances!) on select sea days for intimate shows of close-up magic. Evenings often have two shows scheduled -- perhaps a production show with the in-house singers and dancers plus a guest singer or comedian -- plus live music in multiple venues, including a pianist-entertainment in the Avenue Saloon and an after-hours DJ. Did we mention there's also a movie theater screening recent releases? No one can complain of boredom. The ship is casually elegant, and tends toward lighter colors (light woods and neutrals paired with Crystal's signature sea-foam hue) than ships that go for more nautical navy or imposing dark woods. The new Silk Kitchen and Bar with its solarium roofing and contrasting black-and-pink color scheme is both hip and a welcoming place to dine or hang out. Navigation is simple; most of the public spaces are on decks 5, 6 and 11, with cabins in the decks between. 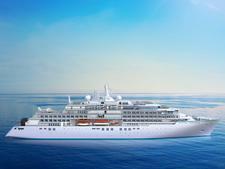 The main longtime drawback of a Crystal Cruise has been, and still is, the size of its standard cabins. Outside and balcony cabins measure 202 square feet; to put that in perspective, Carnival's standard cabins start at 185 square feet, while other luxury lines start out with 250 to 300 square feet of space in entry-level cabins. Bathrooms especially feel cramped, with very narrow countertops, and there are no walk-in closets. To get that luxury accommodation feeling, you need to book a suite -- which isn't true of other luxury lines. One surprise on our cruise was that we didn't experience the high levels of service that Crystal is generally known for. Waterside waiters got orders wrong on several occasions, and occasionally responded in a defensive rather than apologetic manner. Bar staff would ask if we wanted red or white wine with dinner, without bothering to explain the daily varietals or even show us the labels to see what type of wine was on offer. Our room stewardess was indifferent to our request to replace the Coke in our mini-fridge with club soda. While none of this had a major impact on our enjoyment of the cruise and might seem like nitpicking, it did seem out of line with service we've experienced on competitors and the flawless service Crystal has previously espoused. That said, many of the crew members we met were lovely; service in the Bistro was particularly notable. Crystal Symphony is appealing to a wide swath of travelers, from well-to-do families looking for a ship that can entertain their kids to retired couples who can afford a suite and all its associated perks and are looking for a good mix of active, relaxing and enriching experiences. It's a good choice for travelers who want a small ship, but find the 500-passenger and smaller ships to be a bit dull or hyper-social. In many ways, Crystal Symphony hits the sweet spot between too large and too small, and many first-timers discover that, for them, it's just right. Fellow passengers are very well traveled and primarily in the 60-plus age range. While many are repeat passengers, the line is trying to appeal to a broader demographic by offering shorter itineraries (seven to 10 days), more diverse entertainment options and an array of dining venues (with open-seating dining), as well as marketing to families, particularly multigenerational groups. Crystal travelers are predominantly North American, but the line also attracts travelers from Europe and other English-speaking countries, such as the U.K., Australia, New Zealand and South Africa, along with other nationalities. The demographic mix varies by itinerary. Cruise Critic’s professional photographers and our extraordinary community members have taken 1,874 pictures of Crystal Symphony. When you visit our photo galleries, you can be assured that what you see is what you get. During the day, Crystal passengers wear what the line calls "active resort wear," which ranges from shorts, casual slacks and T-shirts to sundresses. At night, Crystal has two dress codes that are in effect after 6 p.m. On Crystal Casual nights, women wear dressy slacks, skirts and dresses, while men opt for open-collared and collared shirts along with dress pants or European smart trousers. On Crystal's Black Tie Optional evenings, suggested attire includes formal cocktail dresses, evening gowns or elegant evening separates for women. For men, a dark suit (either with a tie or without) and tuxedo are recommended choices. 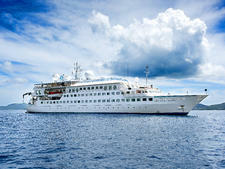 Crystal is not the most inclusive luxury cruise line, but its fares do cover a lot. Cocktails, beer and wine, soda and specialty coffees are included in the fare (though only Penthouse category and above cabins receive free spirits in their mini-bars). One dinner at each of Prego and Umi Uma is offered at no charge per person per one-week cruise (repeat visits cost $30 per person), while dining in all the other restaurants is included. Wi-Fi is free throughout the ship and is significantly faster than previously, thanks to a big service upgrade. Gratuities for housekeepers, butlers and wait staff are also covered, but spa treatments do incur an 18 percent auto-gratuity.